Build up your backgrounds with this exclusive downloadable bundle! Start your art off right with a quality background layer! Learn the important role creating a solid background plays in mixed-media projects with this exclusive downloadable bundle. 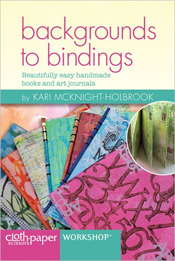 Together, Unique Layers, The Cloth Paper Scissors Book, Backgrounds to Bindings, Preparing to Paint, and Mixed-Media Collagewill show you how to prepare a background in your artwork. Online Editor Cate Prato identifies the importance of this key factor: "Whether you're creating a collage, a mixed-media painting, or an art journal page, a layered and textured background will start you off right and produce a final piece of artwork with depth and interest. Learn how with these resources." Working with collage is always an exciting prospect! 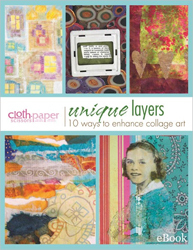 You'll be inspired with all the unusual ways to add paper and paper-like layers when working with collage. 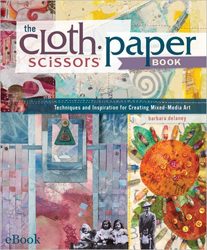 Find out where paint, paper, fabric, metal, and wax all come to play with this easy-to-download The Cloth Paper Scissors eBook. 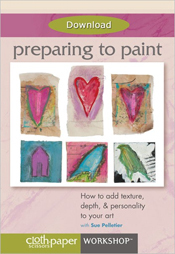 Explore the surface underneath the paint with Sue Pelletier as she answers the frequently asked question: how do you start a painting? 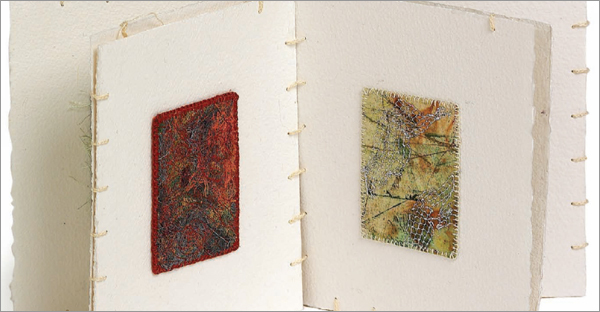 Cloth Paper Scissors Editor Jenn Mason guides you through the principles of backgrounds, middle grounds, and foregrounds as they relate to mixing monoprints and collage. 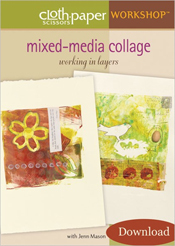 Get all this great mixed-media instruction instantly with this limited time digital bundle. Save 40% when you download today!